The needs of the professional sharpener are different from the average consumer. Not only does the professional need specialized tools, but also information and advice for the professional. 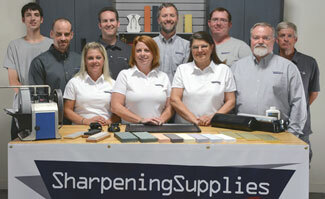 At Sharpening Supplies, we have found Sharpeners Report to be a valuable resource for professional sharpeners. Thank you so much for your unbelievably quick service and delivery. I placed my order online and within pretty much one day the package is waiting on my door step. My order was also filled perfectly, no mistakes. I sure know where I will be purchasing all my sharpening supplies in the future. Great business practice you have. Please never change it.